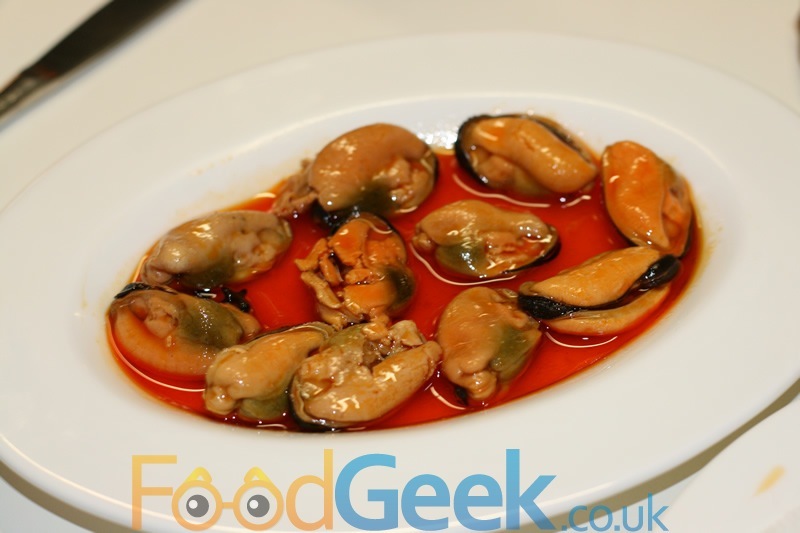 Chef Carles Abellán had revolutionised the tapas scene with his restaurant Comerç 24. After working with culinary legend Ferran Adrià at elBulli and other restaurants for 15 years he opened Comerç 24 in 2001. The food there is elaborate ‘designer tapas’ with influences from Mexican, Italian and Asian cuisines. 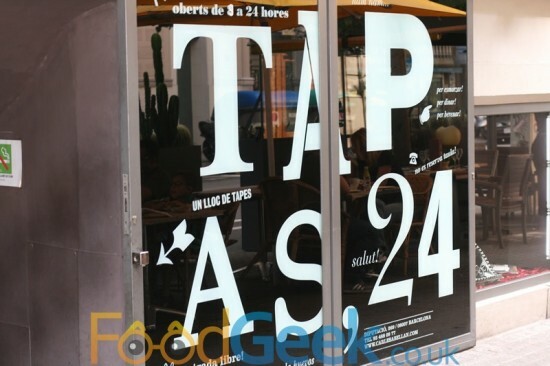 I recently visited his second restaurant Tapas 24. Certainly more traditional and informal but still offering some imaginative and impressive dishes that you don’t find in regular tapas. Starting with the customary ‘Tomato Bread’, i’d eaten lots of it over the previous few days but this was easily the best. 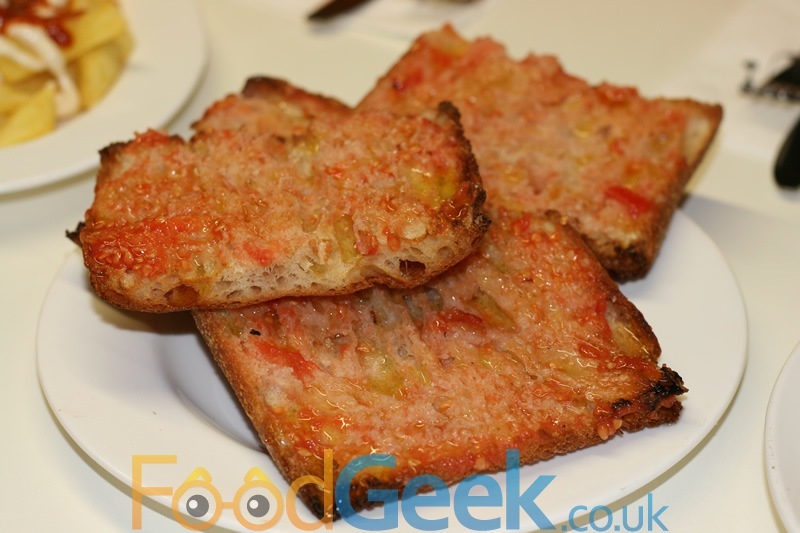 The bread was thin and crisp topped with a wonderful combination of sweet tomato, garlic and olive oil. ‘Pickled Mussels’ had a fascinating texture compared to the steamed variety with vibrant and punchy flavours. The ‘Braves’ looked like they could have come from an English kebab shop on a Friday night but were actually really good. Crispy fried potatoes topped with delicious garlic and chilli sauces. 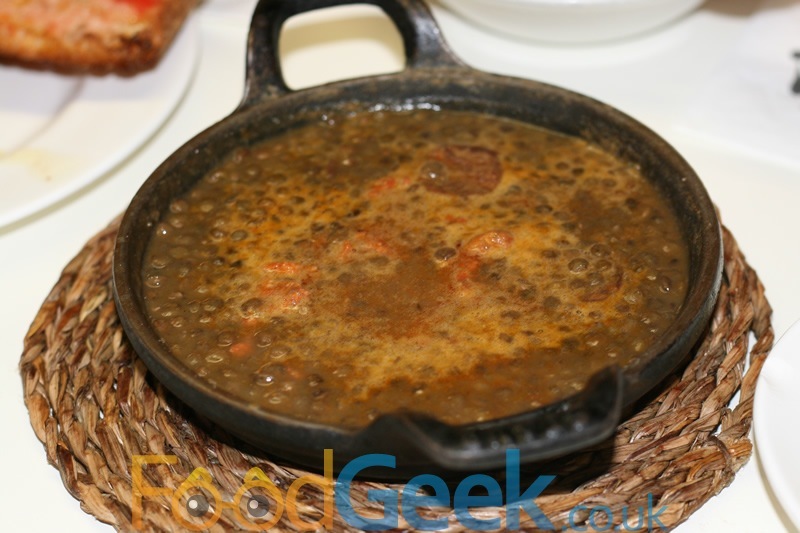 ‘Lentil & Chorizo Casserole’ was a comforting, rich lentil stew packed with excellent spicy chorizo sausage. I was mainly at Tapas 24 for their legendary ‘McFoie Burger’, I wouldn’t be a serious food blogger if I left Barcelona without trying one. I can see what all the fuss was about. 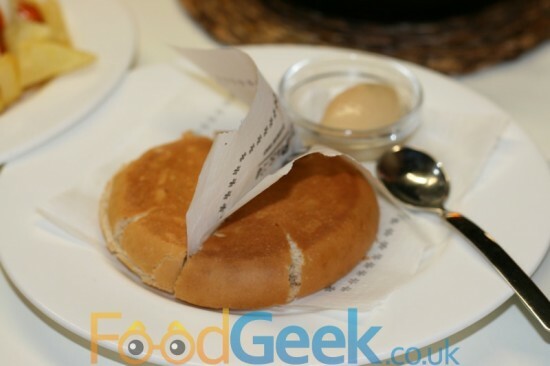 The burger, with it’s light, crisp bun, rare beef patty and small amount of foie was delicious in itself but the star of the show was the mini bowl of foie gras mayo on the side. 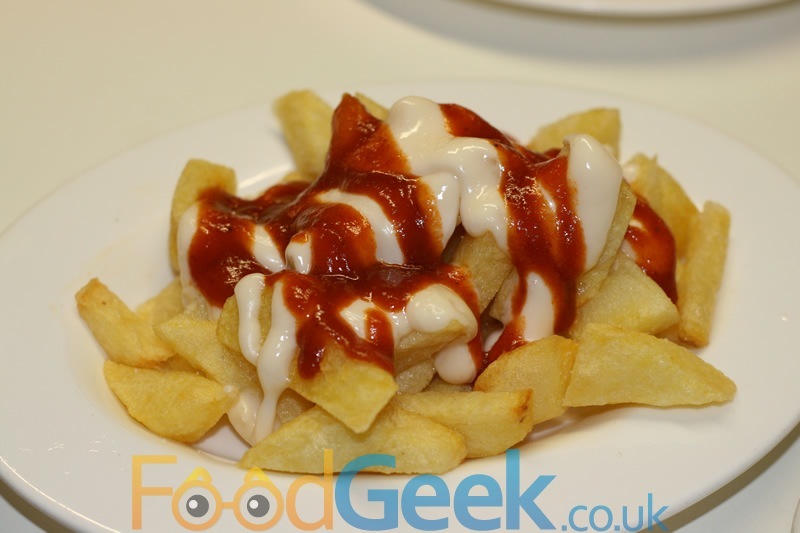 It was smooth, rich and indulgent and tasted fantastic spread all over the burger. Almost as famous as it’s McFoie is the ‘Bikini’. I’d never eaten one before but saw it on many other menus in the area. 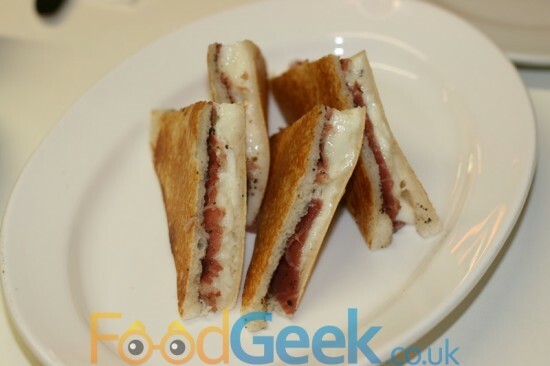 It’s named after the ‘Bikini’ concert hall and is basically a posh Croque Monsieur or ham & cheese toastie. 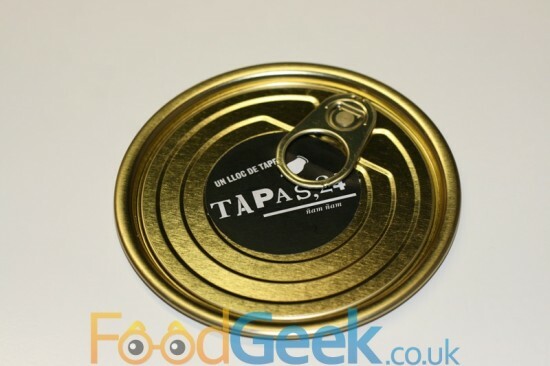 Tapas 24’s version contains top quality iberico ham and black truffle. 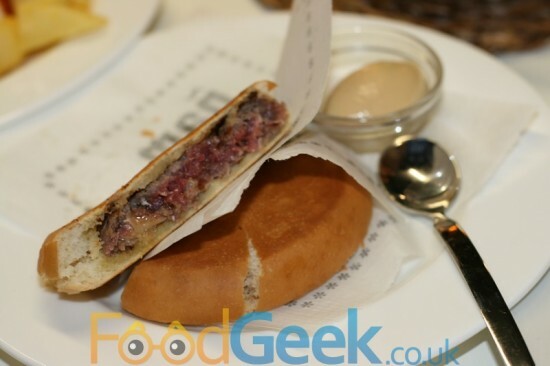 It tasted fabulous and was actually the stand out dish for me even over the McFoie! 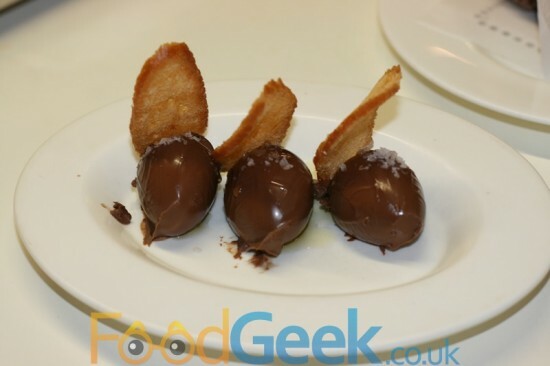 I was intrigued by the description of ‘Bread, Chocolate, Olive Oil & Salt’. It turned out to be literally just that, simple but seriously tasty. The most amazing smooth, rich quenelles of intense chocolate & olive oil ganache were sprinkled with salt and served with thin, crisp slices of toasted bread. 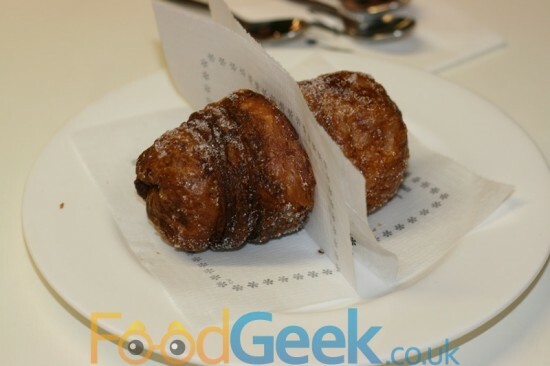 ‘Xuixo’ is a deep fried pastry filled with crema catalana. A sweet, sticky, custardy delight. We were saving ourselves for ‘Cañota Casa de Tapes’ (review coming soon) a few hours later but i’d have been happy to eat a plateful of these. It was a flying visit to Tapas 24 and I didn’t get chance to try as much of the menu as i’d have liked but I loved everything I ate, particularly the McFoie, Bikini and both desserts. It was fairly quiet when we arrived but got very busy, very quickly. Service was efficient at first but got a little hectic later, it didn’t take anything away how enjoyable the food was though and it’s definitely added to the list of places i’d love to return to next time i’m in Barcelona. Next: Casa de Tapas Cañota, Barcelona, Spain – Probably The ‘Funnest’ Meal EVER!